Now that we can call the housing boom officially over, let's try and learn some lessons for the next go around. Notably, how about some better names, developers? Instead of The View, it was always The Vue. So many cities have a Vue, don't they? 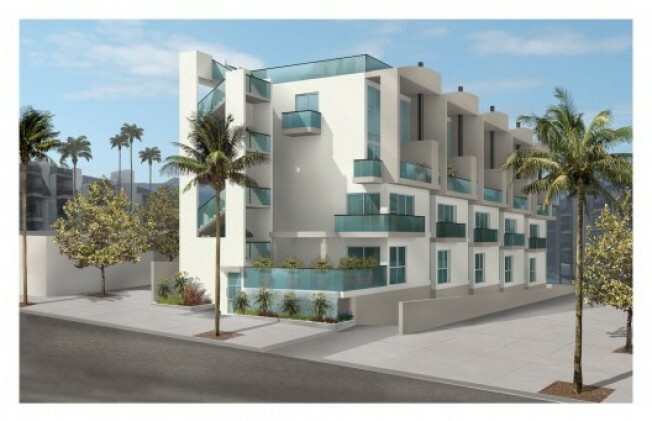 Located at 912 San Vicente Blvd in West Hollywood, this Vue is a five-unit townhome development. With a design that would not look out of place in say, Santa Monica or Miami, the building will offer units ranging from 1,709-1,830 square feet; all the units are three bedrooms, two and half baths. Floorplans feature 18-foot ceilings and it looks like the building's amenities will include a spa/hot tub. Prices start at $1.189 million, according to the construction sign.